During the 60s, when the country was buoyed by an economic high, they even regular commercial and critical success; the country became a regular location for film scouts all across Hollywood due to its cheaper labour and wide geographic variety. The country’s socialist dictator, Josip Broz Tito, more genial, liberal and significantly less brutal than his equivalents across the rest of Communist Eastern Europe himself was a great fan of films, and commissioned war films that promoted the actions of his Partisans against the Nazis in World War II. Able to afford Western stars, these films, at various times, starred such names as Orson Welles, Yul Brynner, and even Richard Burton, and their budgets and scale easily matched and sometimes far surpassed their Hollywood equivalents. Elsewhere, the roots of cinematic protest began to take charge. Inspired by the rule-breaking and anarchistic methods of the French New Wave, the Yugoslav Black Wave emerged alongside similar movements in Czechoslovakia and Poland. 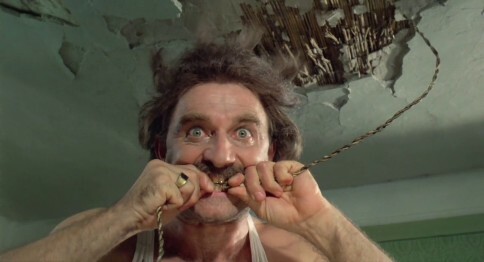 These directors, the most notable of which were Dušan Makavejev, Aleksander Petrović and Zelimir Zilnik, worked with low-budgets and little equipment to produce brave, inventive guerrilla films that even in a comparatively liberal communist country often fell afoul of the censors. Despite the best efforts of the authorities, their influence lived on and found good ground in the following generation, which also produced Yugoslavia’s most internationally acclaimed and arguably most controversial director, Emir Kusturica. One of the few to win not one but two Palme D’or’s at Cannes, his films remain wildly inventive formally whilst often very tricky to navigate thematically. The arrival of the wars and the breakup of Yugoslavia severely damaged the country’s filmmaking capabilities. Despite that, the directors, actors, and crews all soldiered on. After the war in Bosnia finished in 1995, the film industry began its slow recovery. The authoritarian control of supposedly democratic Serbia and Croatia meant that both produced more than their share of horrible nationalist films that promoted ethnic violence, but nevertheless, good, nuanced films slipped through, and a new generation of filmmakers began to find their feet. In Bosnia, ravaged by war more than any other nation, the recovery took slower, but its post-war films have arguably been the strongest; in 2001, No Man’s Land by Bosnian Danis Tanovic became the first film from the region, both before and post-breakup, to win the Oscar for Best Foreign Film. Although there are now a multitude of separate film industries across what was once the former Yugoslavia, with the war a very recent, very lived memory for many filmmakers, that has not stopped collaboration. The once multiethnic identity of being a Yugoslav has not subsided onscreen, and it is not uncommon to see actors portraying different identities onscreen: a Bosnian being a Serb, a Croatian being a Bosnian, and so on. The war is an unsurprisingly common theme in modern post-Yugoslav cinema, but it is a very fertile one. This list, is by no means definitive, for Yugoslav cinema is too rich and varied for that. It is rather, a primer for those unfamiliar with the region, the best bits from each era and each generation. May the next one be every bit as good as those before!